Pack light if you can, bring a portable luggage scale when you can’t. Buying extra baggage allowance in advance costs way less than adding some extra kgs at the check-in counter. If you can’t be bothered to bring a portable scale (or keep forgetting), then the TUL Suitcase is a worthwhile and smart alternative to consider. The TUL Suitcase has a built-in weighing scale, with a display by the zipper showing you the current weight of the stuff that’s in it. The suitcase doesn’t have to be upright or closed to work, so you can check the weight as you pack–convenient and fuss-free, just the way it should be. It’s currently up for funding on Kickstarter, where a minimum pledge of AU$229 (about $205) will get you one of your very own. 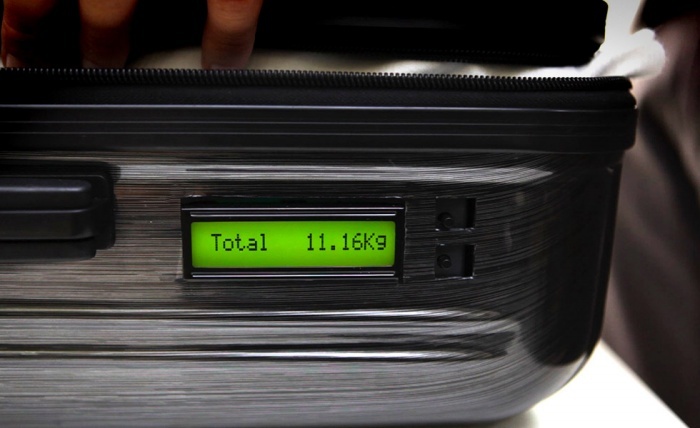 The post TUL Suitcase Lets You Know How Heavy Your Stuff Is as You Pack appeared first on OhGizmo!.